View cart “Issue 20 (April 2014)” has been added to your cart. 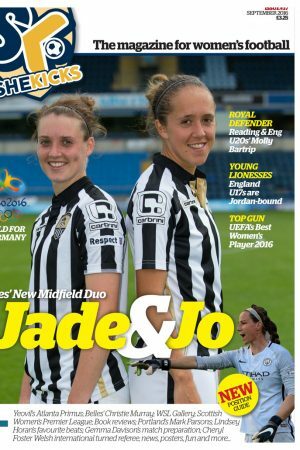 ISSUE 23 of SHE KICKS is 64 pages (YES, that’s 64, it’s bigger than ever) of women’s footie wholesomeness. It’s out Breast Cancer Care issue in which we donate 50p per single copy bought. #Frantastic Fran Kirby, Fara Williams, Alex Greenwood, Jess Clarke, Kim Little, Emma Black, the WSL title contenders and new Arsenal manager Pedro Losa are all in there. 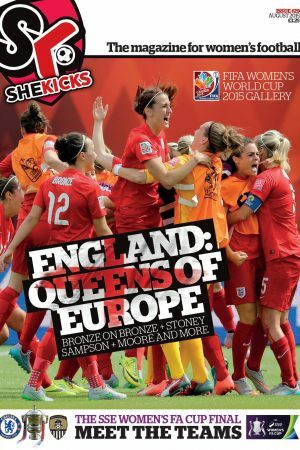 Plus, Kelly Smith, Casey Stoney, Jill Scott and Tanya Oxtoby talk about their coaching careers. There’s loads more too.